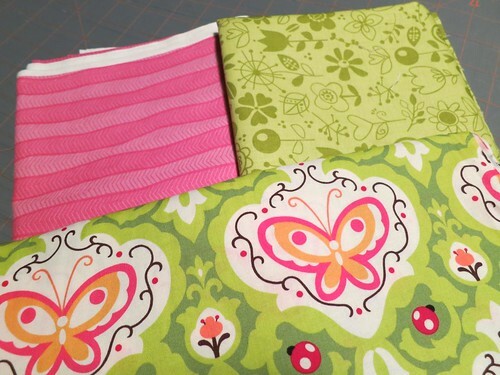 For this quilt, I started with some fun fabric and the idea of doing a Stack N Whack. Seeing the completed blocks, I'm even happier that this will be a baby quilt. 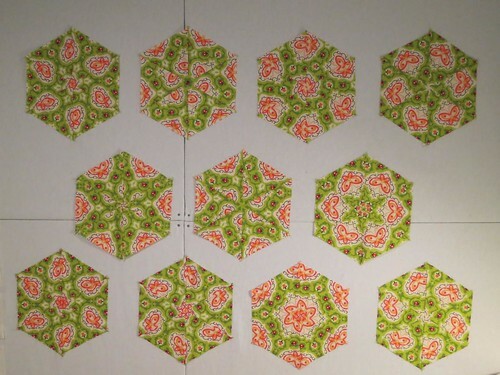 Lots for baby to look at and lots of great pattern matching and 3D thinking skills exercises. 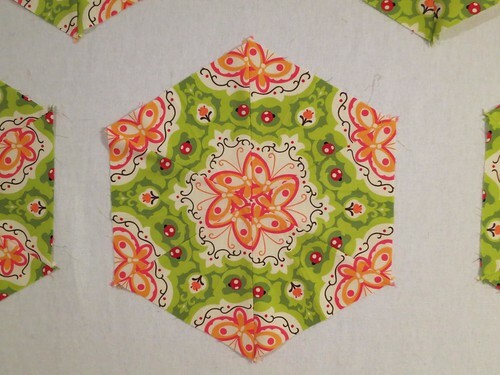 My next step is to add triangular pieces to the hexies to turn them into squares. Add a a little shashing and *voila*, we'll have a quilt top. Both of those will be a bright, solid turquoise, so the kaleidoscope blocks will appear to float. Beyond that, I have lots of nebulous ideas, but nothing is nailed down yet.